Kevin Spacey is accused of sexually assaulting an 18-year-old boy. Kevin Spacey pleaded not guilty Monday to indecently assaulting a teenager who alleged that the Oscar-winning US actor groped him in a bar in Massachusetts in 2016. The "House of Cards" star, who faces five years in prison if convicted, is accused of repeatedly reaching down into the pants of a man identified as William Little, who was 18 at the time of the alleged attack at a Nantucket restaurant. The 59-year-old actor stood quietly with his hands clasped as the clerk read out the charge "that in the town of Nantucket on July 18, 2016 (the defendant) did commit indecent assault and battery on someone 14 and over." After meeting the actor and telling him he was 23 years old -- the legal drinking age is 21 in Massachusetts -- he said he started drinking first beer and then whiskey at Spacey's urging. The two-time Oscar winner -- recognized for his supporting role in "Usual Suspects" in 1996 and his lead role in "American Beauty" in 2000 -- was considered one of the finest actors of his generation. 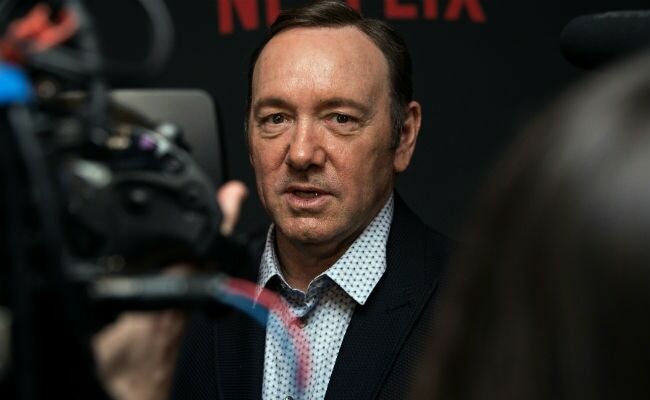 Forced out of public life, Spacey posted a video online in December in which he discussed allegations of sexual abuse in character as Frank Underwood, the scheming politician he played in "House of Cards" before the show dropped him. Director Ridley Scott even removed Spacey from his film "All the Money in the World" (2017) by shooting all scenes in which the actor appeared again with another star, Christopher Plummer.